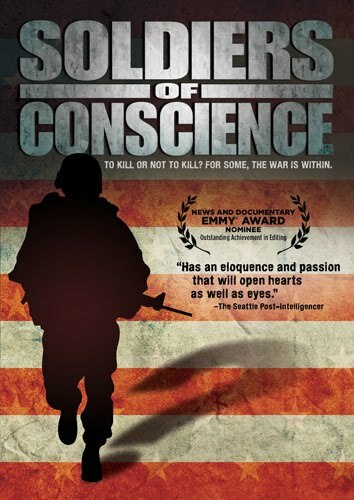 The Fast I Choose: Soldiers of Conscience: To Kill or Not to Kill? One of the (too many) things I'm doing this semester is helping to plan an event called After the Yellow Ribbon. (Registration is open. Join us November 11-12 at Duke.) The event, like the hosting student group (Milites Christi), is focused on cultivation conversation around pastoral responses to war and peace and to the church's care of veterans. Of particular interest is the concept of moral injury and the internal wounds of war sustained by those who wage it. I went into this knowing little to nothing about the backdrop to the conversation, so this has been a learning experience for me. Last night, we held a screening of the documentary film Soldiers of Conscience, which was difficult but, I think, important for me to see. Check out the trailer at the bottom of this post. The film features the stories of several conscientious objectors who became such after entering the service, as well as representatives of the U.S. military, including Lt. Col. Pete Kilner, an ethicist at Westpoint who will be presenting at After the Yellow Ribbon. There are questions raised about just war, but the main concern is the conscience of the individual soldier, the infantryman who is trained to kill but has little recourse for processing the moral implications. The part of the film that struck me as most chilling was the discussion of reflexive fire. Research shows that in World War II, only about 25% of servicemen actually fired their weapons with intent to kill the enemy. At the moment of decision, whether consciously or not, they became conscientious objectors. The military took notice and changed the way they approached training, working to cultivate a reflex to kill so that soldiers skip the moral decision making process in order to be quicker and more deadly. Lethality in battle has been steadily on the rise since then. The thing is, no healthy person wants to kill another human being. Killing does not come naturally; soldiers have to be trained, methodically and sometimes with what I see as pretty frightening and dehumanizing techniques, not to think about it. The truth is that the church fails veterans regularly, and I am personally grateful for this opportunity to be challenged in how I approach questions of war and peace before I go into parish ministry. I grew up with a strongly anti-military mindset that, unfortunately, was often aimed as much at servicemen as at the military industrial complex. I have family members who are veterans but have never engaged them in conversation about their service; maybe this is an opportunity to do that. Talking about war and peace in abstract terms is tricky because it can so quickly become polarizing, but what I think we're trying to do here with Milites Christi and After the Yellow Ribbon is to engage in real conversation about the concrete implications of war for human beings with will and conscience. With veteran suicide rates at an all-time high, this is an issue on which the church cannot remain silent.